This is a rectangular Ogale Wide Mouth Jars porcelain sign. 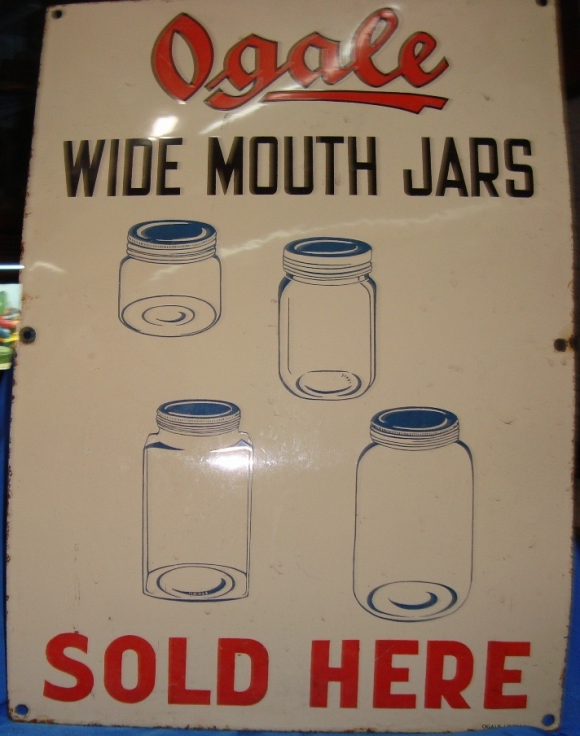 This particular Ogale Wide Mouth Jars sign is white with black and red print. It reads, “Ogale Wide Mouth Jars Sold Here” and features four different styles of jars in the center.